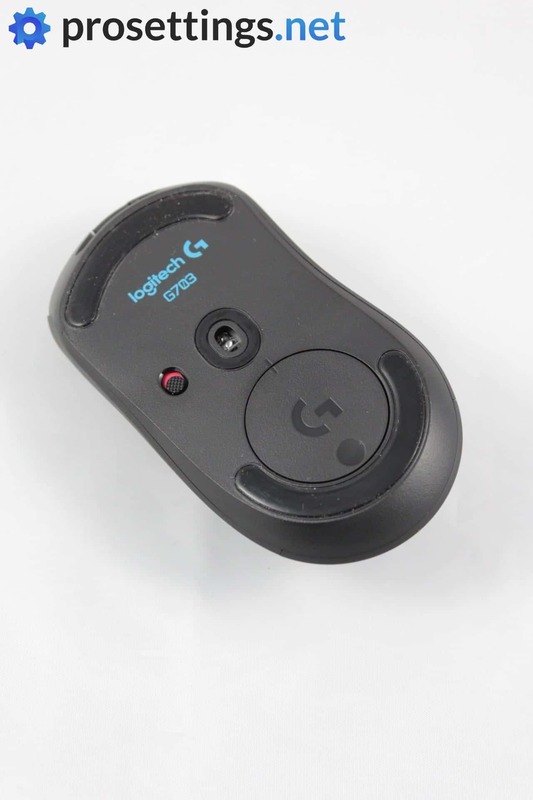 Logitech was one of of the first companies to implement the flawless 3366 sensor in a gaming mouse (with the G403 and G Pro Gaming Mouse, which were released in September 2016) and also one of the first companies to release reliable and lossless wireless technology for gaming mice. 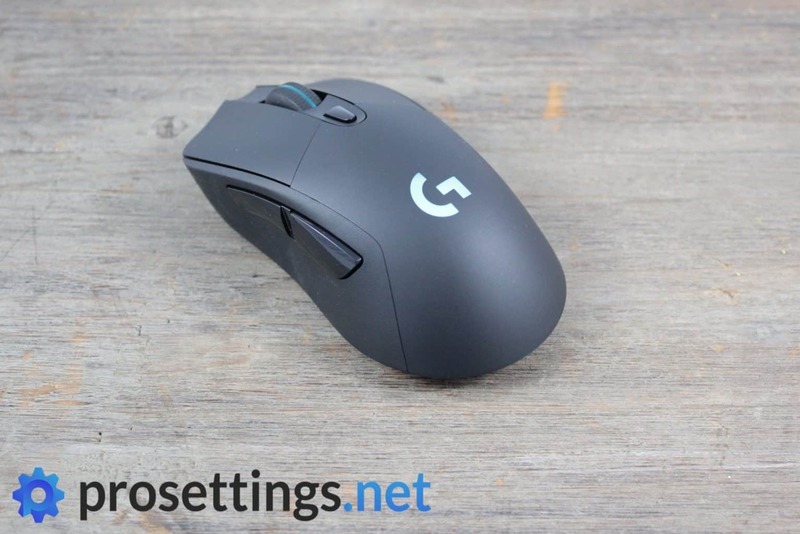 The G703 is a culmination of those two technologies, as it’s basically a wireless Logitech G403 equipped with the revered LIGHTSPEED wireless technology. The G703 might be a bit of an older mouse at this point in time, but it’s still the mouse of choice for many pro gamers out there, so we thought we’d send one over to our reviewer to give it a spin and then some. Marrying Omron switches, a 3366 sensor, and a flawless wireless technology it still very much looks like a stunner on paper, but is it? Anyone who has been following the world of gaming mice at least a bit will immediately recognize the shape of the G703. This particular ergo shape first debuted with Logitech’s G403 model and has since been used in a few reiterations of that mouse, including this G703. It’s basically a G403 without that stiff and braided cable, and that will immediately make it a winner for many people. The mouse looks very nice and clean. It’s finished with a matte black coating on top and a rubberized texture on the sides and when it comes to RGB you’ll find a tastefully done thin RGB strip in the middle of the scroll wheel, as well as a lighting element underneath the Logitech G logo that’s on the back of the mouse. On the bottom there’s an on/off switch, as well as a little hatch where you can put an optional 10g weight or the PowerPlay module, should you choose to use this mouse with a PowerPlay mousepad. The G703 is a medium sized wireless mouse coming in at 105 grams. That doesn’t make it the lightest wireless mouse on the market or anything, but to me that’s a more than acceptable weight for a wireless mouse of this size. 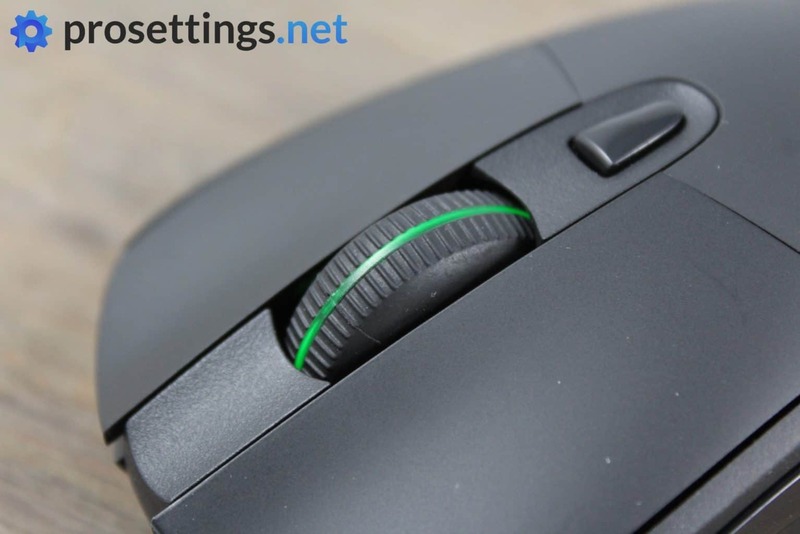 It does come with an extra 10 gram weight if you’re the type of person who likes their mice to be as heavy as possible, and if you’re the opposite you can also opt to leave out the plastic cover on the bottom entirely, which will save you about 3 grams. Inside the box you’re gonna find the mouse, a charging cable, the optional weight, the USB receiver, and a little dongle to put on the end of the charging cable in case you want the receiver to be a little closer to your mousepad. You’re also getting the standard documentation, obviously. 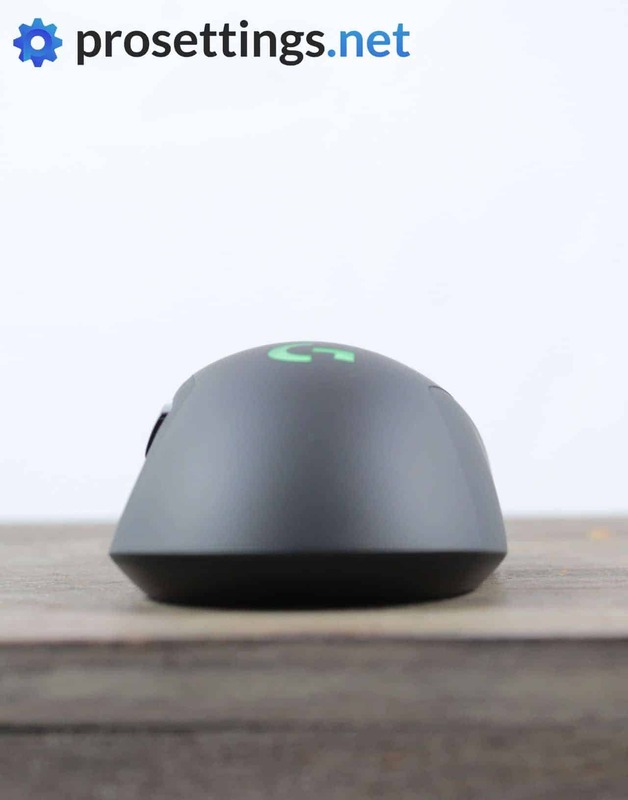 The G703 is an ergonomic mouse with what might look like a pretty safe shape at first glance, but when you examine it a bit further you’ll notice that the shape isn’t that safe at all. There’s a fairly noticeable bump towards the back instead of the more gradual slope that’s featured on most mice, and that can make it quite awkward to hold for some people. If the shape doesn’t immediately ‘click’ for you it’s definitely possible that you get used to it after a while (I know that because that was the case with me and the G403, which was my main mouse for a while) so I wouldn’t exactly denounce this mouse if it doesn’t feel great from the first time you hold it, but I will say that I know people who never quite managed to get over this hump despite really liking everything else that the mouse has to offer. It is what it is, and no mouse is ever going to be the perfect shape for every person in the world, but I do strongly encourage you to try and get a hold of a real life model before ordering if you’ve never held this model in real life. 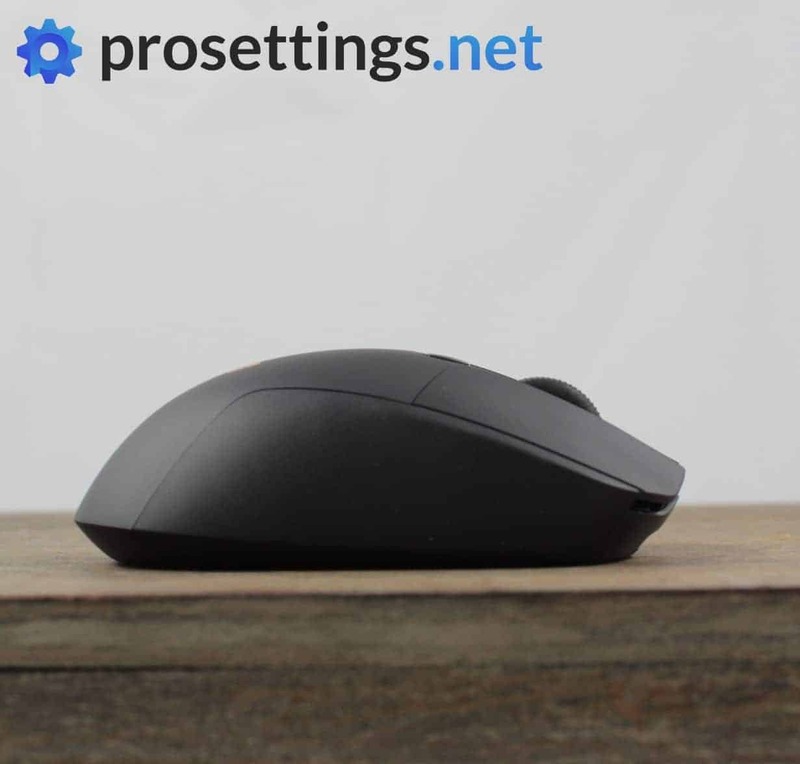 The shell of the mouse is finished with a matte black coating and the sides are entirely made of a rubberized material. This is all really nicely done, I have to say. I get mildly sweaty hands pretty much instantly whenever I am tryharding in a competitive game but I never had any issues with grip under any circumstances. The rubber side grips help with gripping the mouse, and while I realize that some people absolutely despise rubber(ized) side grips I have to say that these feel very nice and subtle, so don’t let these get in your way if you’re normally not into that kind of thing. The two side buttons have a tiny gap between them, which makes them extremely easy to tell apart even in the heat of battle. They’re fairly large so they’ll be usable by a wide variety of grip styles and hand sizes but they (for me at least) never got in the way during gameplay. I know it’s a weird thing to really go on about, but I really like the placement and size of these side buttons. Kudos to Logitech on this front. On the bottom of the mouse there are two thin and curved mouse feet which offer a rather controlled glide. They start off very slow and after a couple of hours of break in time they get a little faster, but if you’re looking for the fastest gliding mouse out there you should be looking at some aftermarket feet or at another mouse entirely. This is not a net negative (some people prefer a slower glide, much like with mousepads) but it is something that I should mention obviously. The clicks on Logitech mice have been well-liked by the vast majority of gamers for years now, and the G703 doesn’t give me any reason to question that. Logitech’s implementation of the Omron switches is amazing; the clicks are clear, responsive and (for me personally) tensioned just perfectly. There is no difference (be it audible or tactile) between the two main buttons either, so these are absolutely stellar. The scroll wheel has a rubberized texture and feels okay, basically. It’s not amazing and it’s not bad either. For me the individual steps could be a bit more defined, but it performs as it should and the wheel itself is easy enough to press, so I don’t have any real complaints when it comes to the scroll wheel. The side buttons give you a great and tactile feeling when they’ve been actuated and they’ve got a more than respectable amount of travel to them. I’ve been going on about the placement and design of these buttons earlier on in the review and the side buttons definitely also deliver when it comes to performance. Summarizing: the clicks on the G703 are great (the main buttons are especially amazing) and the scroll wheel also does its job admirably. If you’re wondering whether or not the G703 can stand up to reasonable amounts of gamer rage look no further. The answer is ‘yes.’ Squeezing, tapping, and shaking the G703 reveals no build quality issues: nothing’s rambling inside and the shell doesn’t give way when you’re applying pressure to it. 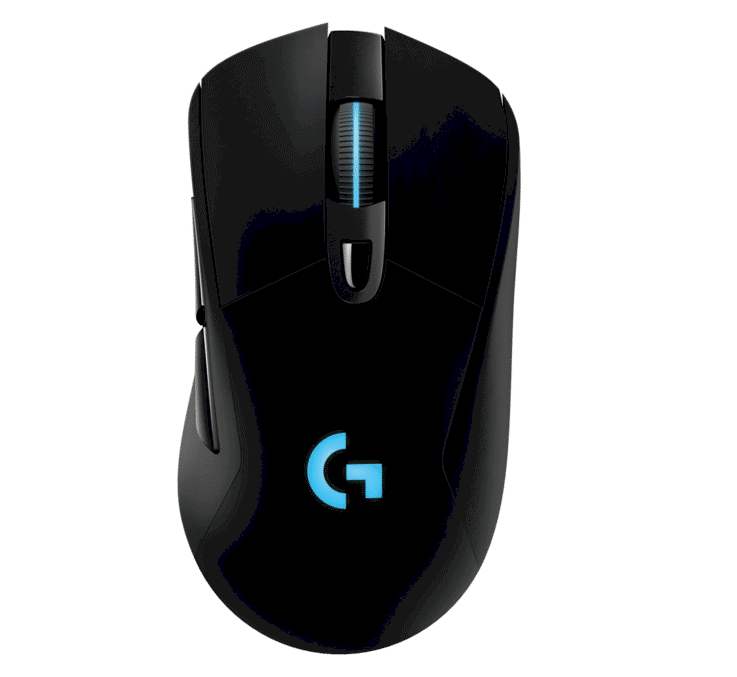 The G703 features Logitech’s LIGHTSPEED technology. The company claims that this is as fast (in some cases even faster) than your regular wired mouse, and I don’t see any reason to doubt that claim. I’ve tested a couple of their wireless mice now and I haven’t managed to find any issues with delay or clicks or movements not registering. 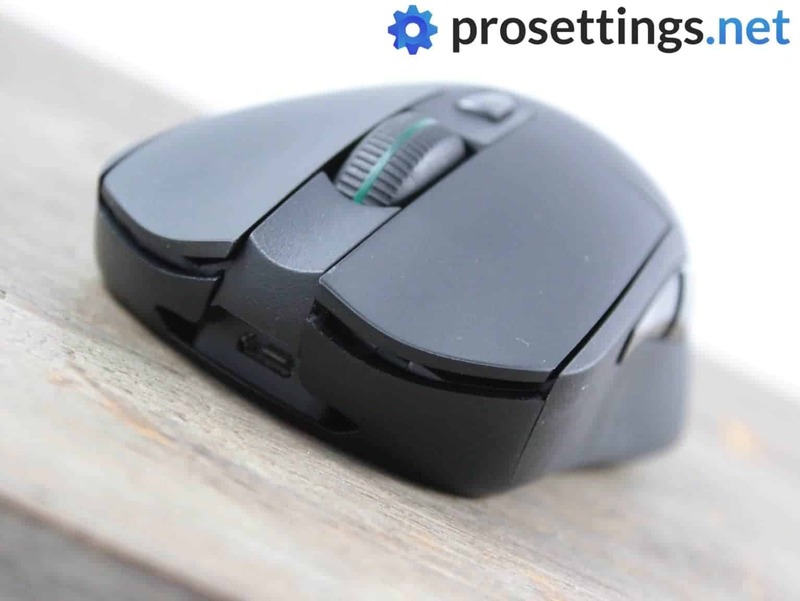 In case your mouse runs out of juice (the battery lasts about 30 hours with the lighting turned off) you can connect it to your PC via the supplied Micro USB cable. That’s a pretty thick and braided cable though, so I’d definitely try to run it in wireless mode as much as possible when you’re gaming. If you opened up your G703 (which is obviously not recommended) you’d find the 3366 sensor. That’s Logitech’s version of the 3360 and, in some ways, the predecessor of the HERO sensor that’s found in (for example) the G Pro Wireless. The only real difference between the two is their power draw: the HERO is way more power efficient than the 3366, but aside from that they’re both completely flawless sensors. 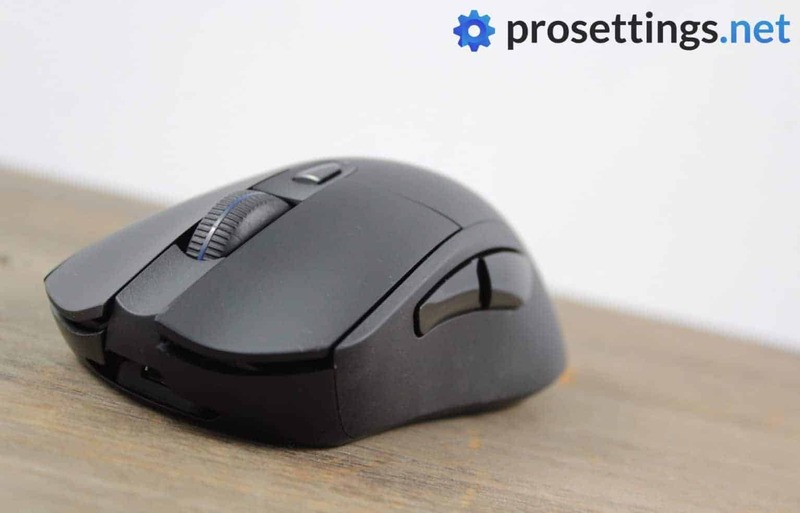 There is no smoothing, angle snapping or acceleration here so if you use this mouse you can rest assured that it’s translating your every move with pixel-perfect precision. The battery life is more than adequate too. A full charge will last you just under 24 hours if you leave the RGB on, and around 30 hours if you turn those pretty lights off. That’s pretty good, but if you’re off on an extra long gaming weekend with your friends you will want to pack your charging cable just in case. In any case: the G703 performs just like any wired top tier gaming mouse would, and that’s amazing. 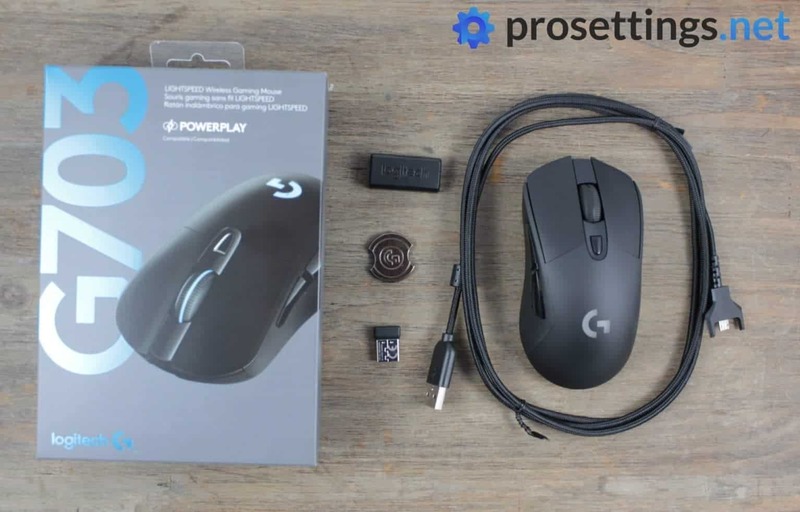 Going from a mouse with a cable to a wireless mouse is an experience all on its own, and that liberating feeling is amplified even more if you’re coming from a mouse with a stiff and thick cable such as (for example) the G403. 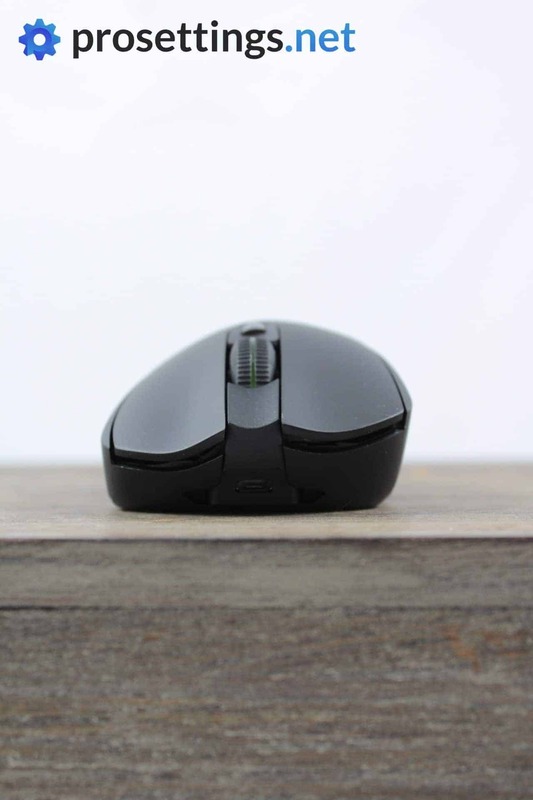 If you like (or don’t mind) the infamous hump this mouse can actually accommodate a large variety of grip types. I can see this being an ideal mouse (if you’re into the shape, obviously) for claw and fingertip grippers with medium to large hands, as well as for palm grippers with smaller hands. If you don’t mind the shape it’s a very comfortable mouse as well. I used it for multiple day-long gaming and browsing sessions and I never felt any cramps or discomfort, but I do have to add that I have gotten used to the shape to the point where I don’t mind it at all. If you can (quite literally) get over the rather awkward hump this is gonna be a great mouse for just about anyone. 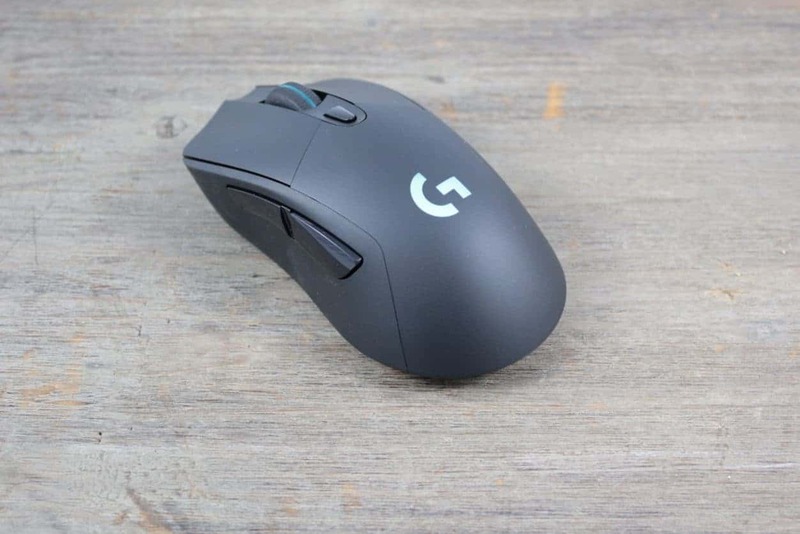 The G703 is a top tier wireless mouse, featuring a flawless sensor, perfect wireless connection, and some of the best buttons in the business. It’s not the absolute lightest mouse out there (though 105 grams is still very respectable for a wireless mouse) and it has a pretty slow glide with its factory feet, but aside from that it’s got everything going for it as far as gaming mice go. The G703 is a right handed ergonomic mouse. Obviously it is, I used the wrong word in that sentence as a brain cramp. Changed it now, thanks for noticing!